JURA audit s.r.o. is dynamically developing auditing company in Slovak republic from the year 2000. Our services imply in particular audit of business and manufacturing concerns and institutions, non – profitmaking organizations and various projects. Part of our business activities is addicted to bookkeeping for small and medium – sized companies and economic consulting. Significant part of our business activities is made of consulting and audit services of non – profitmaking organizations and various projects. 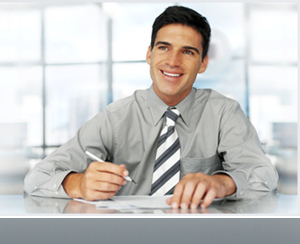 As auditors – natural persons, we work in the area of audit, consulting and bookkeeping from 1992. Services are provided by the groups of qualified professional employees and external co – workers with the practice in the area of audit, financial economy, bookkeeping and economics. Our employees and external co – workers use their perfect knowledge of local conditions as necessary assumption of fulfilment of demands of our native and foreign clients. 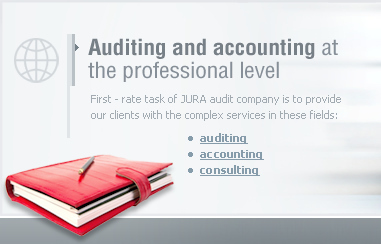 Jura audit s.r.o. works in the terms of local legislation which definies professional and ethic behaviour of auditor in accordance with standards on auditing issued by Slovak Chamber of Auditors. We verify the bookclosing of companies in accordance with the International Standards on Auditing ( ISA ). We cooperate with clients on bookkeeping and bookclosing according to the International Finacial Reporting Standards ( IFRS ). Mostly, they are companies with the foreign owners. Ing. Jarmila Juricová, registered in the list of auditors of Slovak Chamber of Auditors in 1994 with the licence number 613, is responsible for the realization of services.